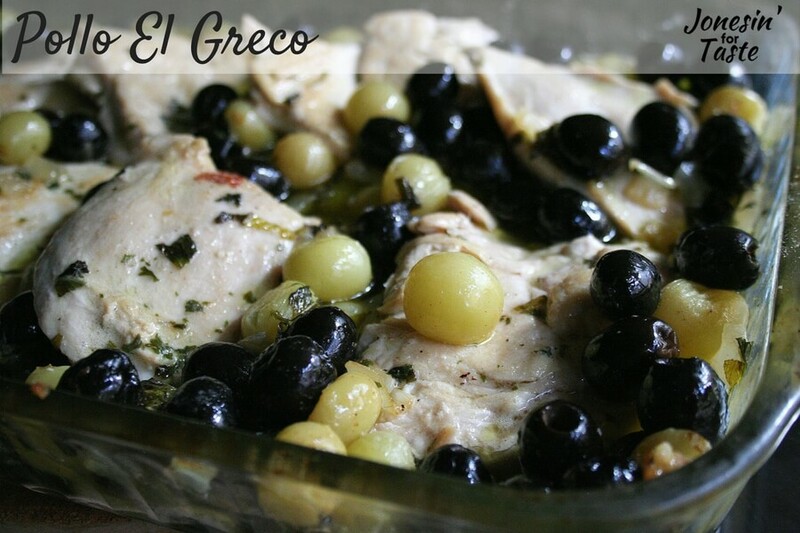 Pollo El Greco is a simple sauce of oil and butter cooked with chicken with olives and grapes and served with rice for a warm and satisfying dish. 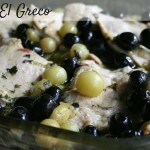 This chicken with olives and grapes dish is a family favorite and one that I grew up having. 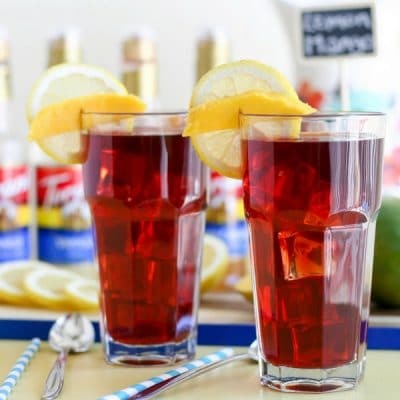 I remember asking for this once when we were visiting my great grandmother in Santa Maria during my birthday. My sweet mom and grandmother made it for me. It was obviously a good day because I still remember it years later. This is also the dish my husband requests for our anniversary or his birthday or anytime I ask him what he wants for dinner. If (and I mean if) you have any leftover chicken, it is perfect for a salad. Dinner and lunch the next day is good by me. The best part of the dish is the baked olives and grapes! 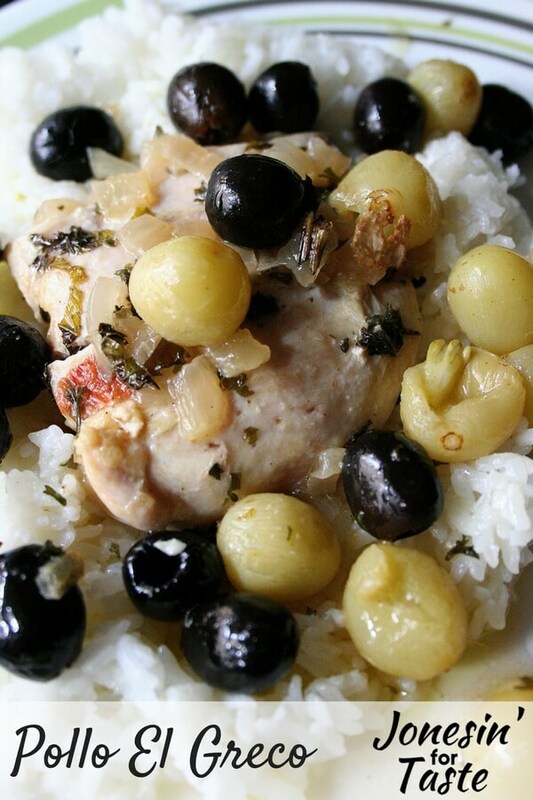 They get a lovely roasted flavor and then having the olive oil and butter sauce to spoon over the chicken with the olives and grapes is amazing! And if you are wondering about the name of the dish to be honest I have no clue! It’s what my family has always called it so I just go with it. Haha. Maybe someday I will find out why it’s called Pollo El Greco. It’s just like the Sausage and Veggie Spaghetti that we call Spaghetti Fest and the egg casserole, Sorbian Eggs. These crazy names make it easy as a family to identify the dish but I am always being asked where the names came from. I’ll let you all know if I ever figure it out. We usually serve the chicken with grapes and olives over Basmati rice but I have done it with mashed potatoes which I find nice as well. 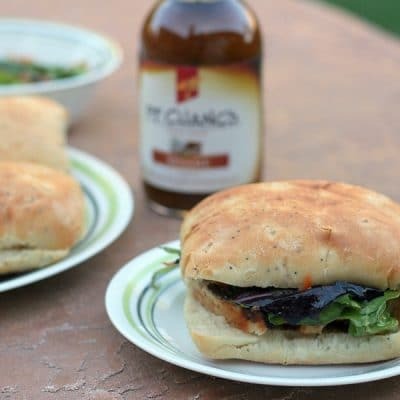 Want some easy recipes? 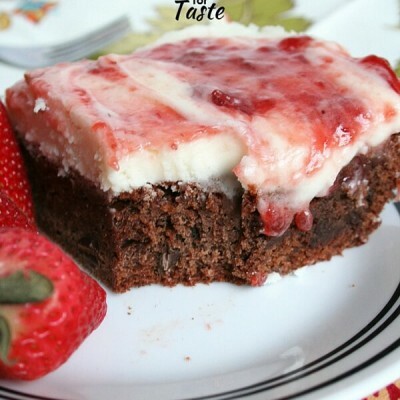 Get my e-book with 30 days of Easy Recipes! Put grapes and olives into a large oven proof casserole dish, at least a 9 by 13 inch pan. In a large skillet, saute the onions in the butter and olive oil until lightly browned. Pour the onions and olive oil/ butter sauce over the grapes and olives. Sprinkle the spices over the entire dish. Place pan with olives and grapes in the oven. Begin cooking while you brown the chicken. Season chicken with salt and pepper. Brown quickly over medium high heat on both sides. This should take maybe 2 to 3 minutes per side depending on how hot your pan is. You just want a quick sear not any actual cooking. They will finish in the oven. Transfer the chicken to the heat proof casserole dish. I also like to sprinkle a little bit more of the mint, chervil, and garlic salt over the top of my chicken before I put it in the oven. Bake uncovered for 45-60 minutes until chicken is cooked through. Note: I cut our chicken breasts in half to make 8 portions. This helps the meat go a lot further, helps us from over eating, and allows me to get dinner on the table quicker. 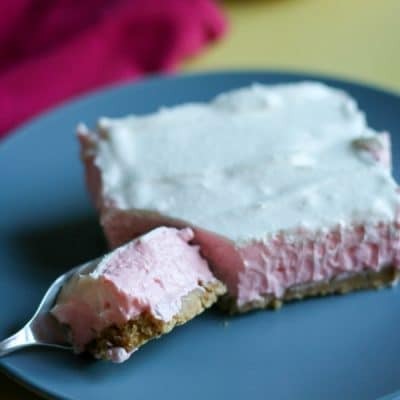 It's a great trick for portion control and is a lot easier to do before hand. If you follow this method I would get the olives and grapes in as quickly as possible, then cut the chicken, and cook for 30-40 minutes until chicken is cooked.